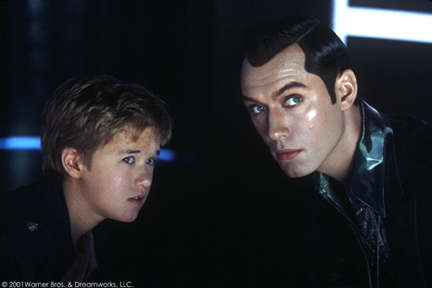 A robotic boy, the first programmed to love, David (Haley Joel Osment) is adopted as a test case by a Cybertronics employee (Sam Robards) and his wife (Frances OConnor). Though he gradually becomes their child, a series of unexpected circumstances make this life impossible for David. Without final acceptance by humans or machines, David embarks on a journey to discover where he truly belongs, uncovering a world in which the line between robot and machine is both vast and profoundly thin. U.S. Marine Sgt. Logan Thibault (Zac Efron) returns home from his third tour of duty in Iraq with the one thing he believes kept him alive: a photograph of a woman he doesnt even know. He learns the womans name is Beth (Taylor Schilling) and goes to meet her, eventually taking a job at her family-run kennel. Though Beth is full of mistrust and leads a complicated life, a romance blooms, giving Logan hope that Beth could become more than just his good-luck charm. 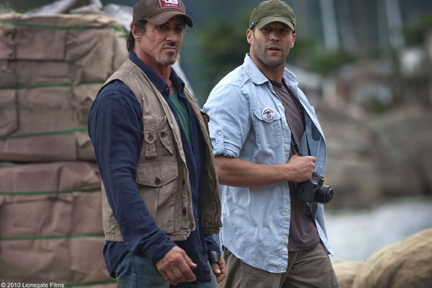 Mercenary leader Barney Ross (Sylvester Stallone) and his loyal men take on what they think is a routine assignment: a covert operation to invade the South American country of Vilena and overthrow its dictator. But, when they learn that the job will be a suicide mission, they must choose redemption or the destruction of their brotherhood.